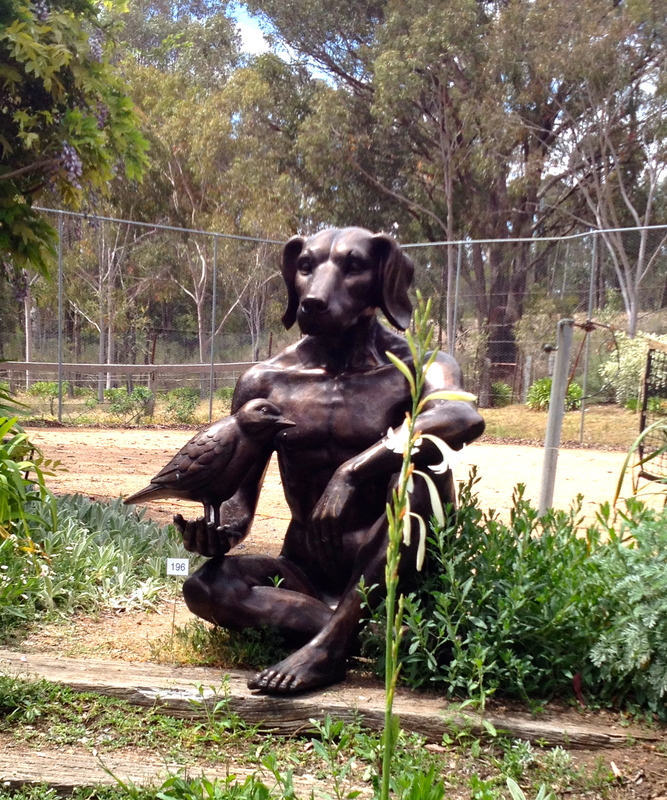 One of the highlights each Spring is the sculptures on show at Rosby Estate in Mudgee. This year was no different. The weather was more like Summer than Spring and the crowds turned out in droves. Whilst we thought it was no problem turning up by 11 on the first day, we were disappointed to see that so many pieces of sculpture had already been snapped up. 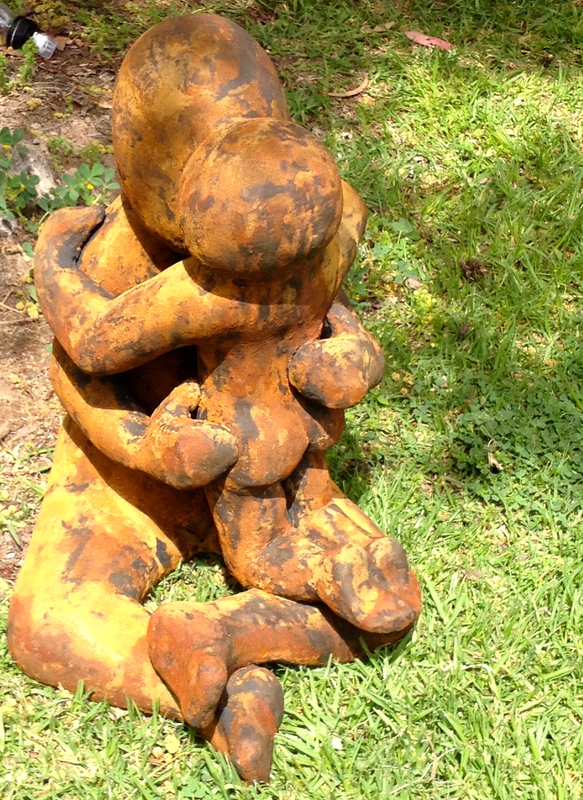 G and I had a great time looking at all the sculptures which were amazing and loved the always beautiful gardens at Rosby. A glass of the estate rose went down well with our tasty couscous salad. It was fun selecting our own sculptures, although a little anxious racing back to the sales desk to make sure we were successful with our purchases. 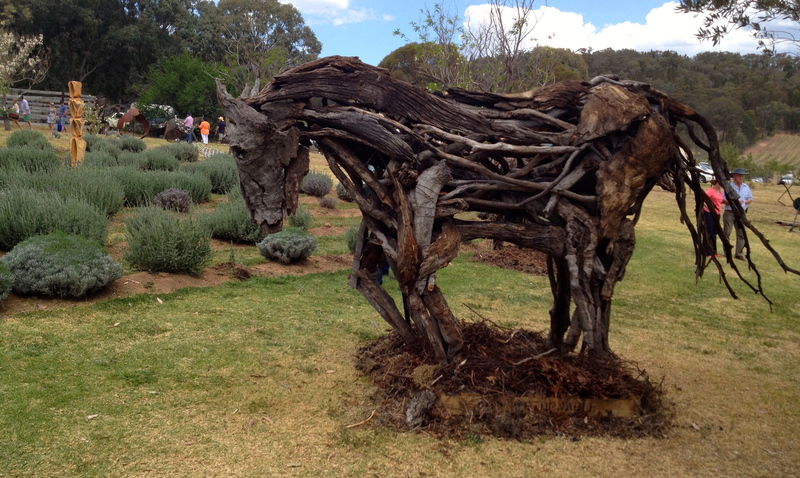 And the galvanised iron horses racing across the paddock were a perfect fit for the setting. We loved the wire animals by Roshelle Mckilliop and I was sorry I missed out on Alison Dent’s ‘Lyre Bird’, but it seems many people had their eye on that one. In the end I settled on Nicola McCutcheon’s ‘Close’ which will look perfect back at the Convent. It’s rewarding to be able to purchase local artwork and then enjoy it becoming part of home.